Anyone who has ever applied to run a World Major marathon through the lottery application knows the feeling of waiting on results day to see if you got in. Last year, Zach and I were very lucky to both be able to run Chicago. I had received entry via the lottery in 2016 and deferred to 2017 and Zach won a lottery entry in 2017 so it worked out perfectly. This year we set our sights on NYC and on lottery day I think I hit refresh every 20 mins on my NYRR page to see if I had been accepted. Someone online said that the emails confirming entry often go out very late, but to check any pending charges on your credit card account as the entry charge would show up first there. I quickly logged into my online account to see a pending charge from NYRR, but only one charge. I checked back multiple times throughout the day, hoping to see an additional charge, but nada. Around 11:00pm that night, Zach received an email saying he had won a lottery spot, and I received notice that I did not. At first I was disappointed, but very quickly decided that I would find another way to run NYC in 2018. I mean, the fact that Zach was accepted was pretty awesome, as the odds of getting in are pretty low. I had definitely got my hopes up and really wanted to go through this experience with him. After browsing all of the options to run as a charity runner, I decided I would go for it and run for Team for Kids. So, why Team for Kids? When reading through the descriptions of the charities I could run for, TFK stuck out to me for a number of reasons; one, it is my passion (and my career) to promote the benefits of physical activity, which can be truly life changing and open so many doors, not just as an athlete but as a human living in a very sedentary world, two, TFK is all about getting kids (duh) active, something I see as extremely important. Having worked with kids for a number of years, I have always felt so inspired being around them, and also have realized how powerful it is to impact the life of a child. In a world where we don’t move enough, I sometimes feel like kids are the only hope we have for changing our society to see things a little differently. Three, I wish I had been able to participate in a program like many of the ones TFK runs as a child. I’ve talked about it on here before, but I was really turned off of physical activity as a kid because the emphasis was always on team sports, which I honestly just sucked at. I have literally no hand-eye coordination haha. Don’t get me wrong, my parents always encouraged me to be active in other ways- bike riding, horseback riding, hiking, yoga, but traditional physical education at school really turned me off of exercise and I dropped gym as soon as I could. I can’t help but wonder if I would have discovered the power behind exercise sooner had I had more opportunities to participate in programs that were more focused on exercise outside of team sports (I have nothing against team sports, but they just aren’t for everyone). I think it is super important to mention that even though I dropped gym after grade 9, I was lucky enough that I even had it as a mandatory course up until that point, and I was even luckier that I still had ways to be active outside of school after that. This isn’t the case for so many kids, and so many lose the opportunity for physical activity very early on, with no opportunity for this outside of school. Reading about Team for Kids really just spoke to me and aligned with what I believe in and what I’m passionate about. Getting back into running this spring after 6 months of sporadic running through lingering pain was not easy. I really questioned how I would get back into marathon shape after so much time off and such low mileage over the winter. Around this time, I saw a post on Facebook about an initiative that Nike and Canadian Running magazine were starting called Lane 6. 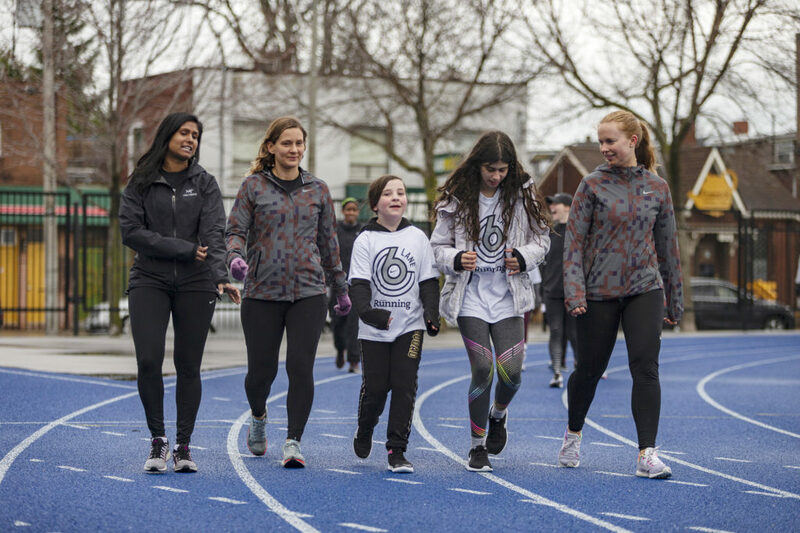 Lane 6 was a pilot project for kids from Toronto Community Housing. The program would provide these kids with a weekly one on one running mentorship. Immediately, I knew I wanted to be a part of this. I have to admit, my motives were a little bit selfish at first- I was really looking for some inspiration and something to give me a little more purpose in my life outside of work and I really hoped that participating in Lane 6 would help ignite my fire for running again. For six weeks, I woke up early on Saturday mornings to head to the track and participate in the program. Lane 6 really was a special experience to be a part of. My mentee was the youngest one there, she was 7, and the last thing she wanted to do was run laps of a track on a Saturday morning. But still, she helped me re-connect with my inner child while I tried to do the silliest things possible to get her around that track. Some days, we ran only one lap and she instead spent time “styling” my hair on the sidelines. She also missed a few weeks and during those weeks I tagged along with my friend Lindsay and her mentee, who was a little bit older. Lindsay’s mentee wasn’t necessarily too enthused to run either, but week by week, she definitely improved and it was SO fun to hear her say on the last day, during one of the last laps “can I go fast now!?”. While my mentorship experience didn’t result in a track star (or maybe it did…too soon to know!) 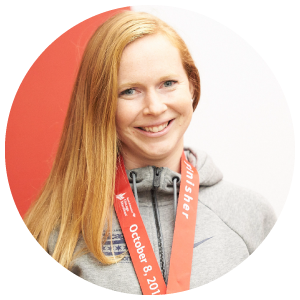 it really did solidify my choice to run the New York City marathon for Team for Kids. I looked forward to Saturday mornings, knowing that regardless of how much running we actually did, the kids were having fun in an active environment. For some of them, this was maybe the only opportunity they had outside of school to be active and have an adult in a coach like position believe in them. I made a solid effort to drive the point home that it didn’t matter if you were a “good” runner or not, running could be fun and rewarding, and it was all about your personal goals. I HOPE that at the very least, this message sticks. As always in these situations, it’s usually the adults who end up learning the most from the kids. As mentioned, it was so great to connect with my inner-child again, see running as fun, remember to not take myself so seriously, and to reflect on how lucky I really am to have had so many opportunities available to me as a kid. 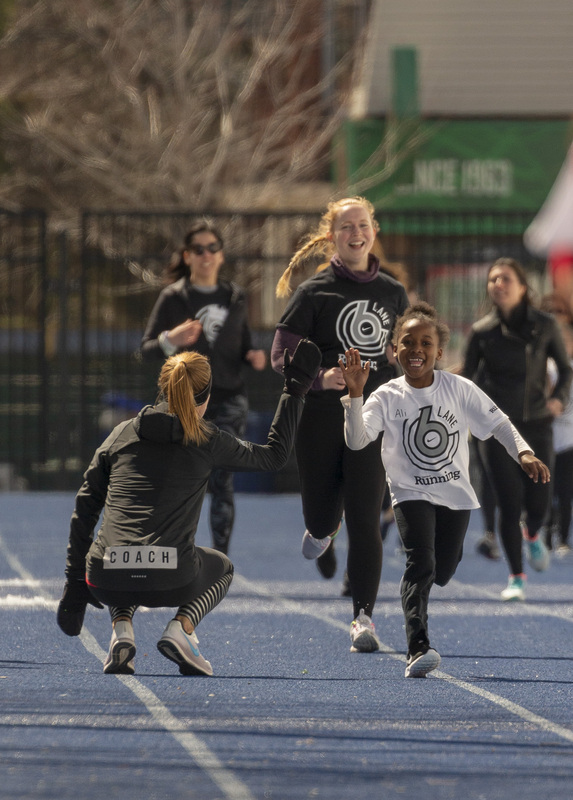 When Lane 6 ended, I was legitimately so sad knowing that I may not see any of the kids again, but it had given me such a greater purpose to my own training and decision to run NYC for Team for Kids. Throughout my training, when things get tough, I’ve had to dig into my “why” and remember that 1. running is supposed to be fun, 2. this time around I am training for something so much more important than my own goals and 3. that I have so many people who have donated to this cause, which has shown me not only how many amazing people I have in my life who support me, but believe in what I am doing and want to help. THAT makes every tough run worth it and is all the motivation I need. With just five weeks to go now, I am still just over $1200 short of my goal. If you are able, please click below to read about Team for Kids and donate before October 3, 2018. Every penny helps. (For those who don’t like to donate online I can also accept cash, cheque, or e-transfer to ali.williams@me.com). Thank you to all who have already donated, it means more than I’ll ever be able to find the words for. Click here for my Team for Kids donation page.